We have a president who is belligerent towards Iran, who is sending “boots on the ground” to fight ISIS, who loves Israel passionately and who is increasing already bloated defense budgets. 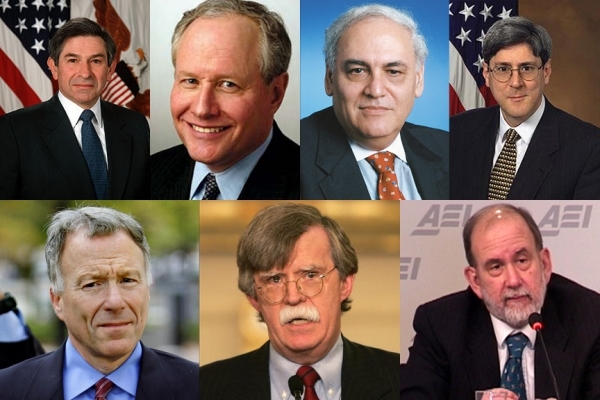 If one were a neoconservative, what is there not to like, yet neocons in the media and ensconced comfortably in their multitude of think tanks hate Donald Trump. I suspect it comes down to three reasons. First, it is because Trump knows who was sticking the knife in his back during his campaign in 2016 and he has neither forgiven nor hired them. Nor does he pay any attention to their bleating, denying them the status that they think they deserve because of their self-promoted foreign policy brilliance. And second, Trump persists in his desire to “do business” with Russia. The predominantly Jewish neocons always imagine the thunder of hooves of approaching Cossacks preparing to engage in pogroms whenever they hear the word Russia. And this is particularly true of Vladimir Putin’s regime, which is Holy Russia revived. When not musing over how it is always 1938 and one is in Munich, neocons are nearly as unsettled when they think it is 1905 in Odessa. Next Next post: OVHCPAC: Oklahoma SB83 is DEAD! !